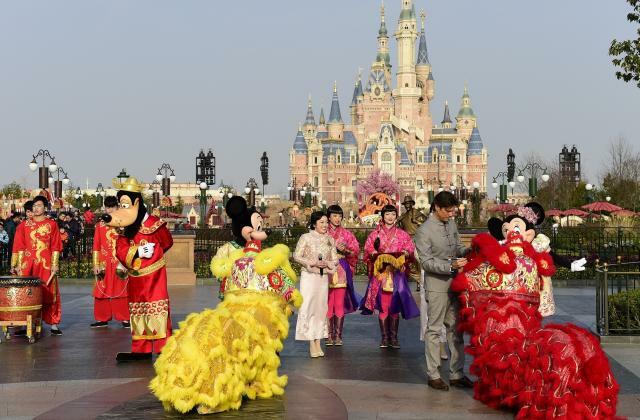 Shanghai Disney Resort today celebrated the first day of the Year of the Rooster with two traditional Chinese lions bringing fortune and prosperity to guests in front of the Storyteller Statue. 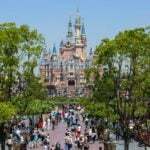 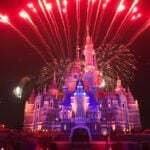 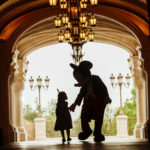 Joined by Mickey and Minnie, and Goofy dressed as the traditional God of Fortune, Philippe Gas, general manager of Shanghai Disney Resort, dotted the eyes of the lions, awakening them to spread good cheer and luck to resort guests and cast members. 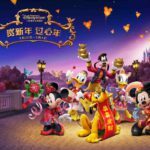 The special Chinese New Year celebration runs until February 12, 2017, amidst a spectacular series of entertainment programs, festive decorations, seasonal food and beverage offerings, lucky bags and holiday-themed shopping experiences.